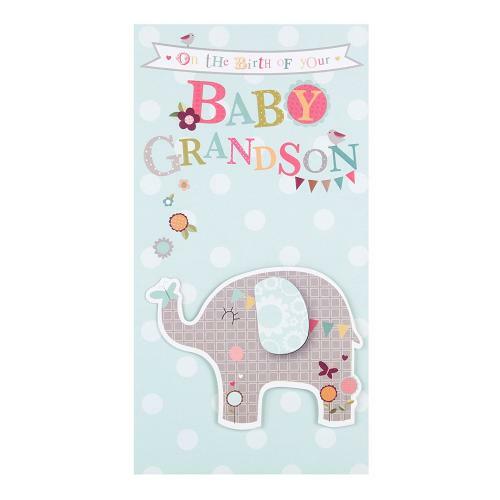 On the birth of your baby Grandson card, colour printed on the inside. The wording reads "More smiles more pride.... more happiness! Congratulations on your new little Grandson".